Plaintiffs in the lawsuit challenging state laws that govern teacher employment put their case on pause today, allowing the defense team to call one of its key experts to the witness stand. But it turned out far more challenging than Dr. Susan Moore Johnson, a respected Harvard professor, and the former dean of the Harvard Graduate School of Education, might have anticipated. In the landmark case, Vergara vs. California, nine student-plaintiffs, are arguing that the California teachers’ seniority, tenure and dismissal laws violate their fundamental, constitutional right to a quality education. The defendants in the suit, the California Teachers Association (CTA), the California Federation of Teachers (CFT) and the state called Johnson to the stand to help support their argument that well-managed schools and districts and properly trained administrators can handle problems with ineffective teachers as they arise. During a relatively uneventful morning session, she offered testimony attempting to undermine many of the plaintiffs’ key points, including the contention that school administrators don’t have enough time to identify ineffective teachers. She testified that if principals take their responsibilities seriously, “there is no question” they can do so within sixteen months. She said administrators trained to observe teachers can identify poorly performing teachers within a year. Several expert witnesses for the plaintiffs previously testified that the law requiring tenure decisions to be made after 16 month is ill-conceived, that it’s too short a time to grant tenure. When asked by Jim Finberg, attorney for the teachers’ unions, would dismissal processes contribute to teacher satisfaction, Johnson said they would, adding, “teachers want to be assured they’re treated fairly” and can’t be summarily dismissed for their performance. But under an intense cross examination by Marcellus McRae, the plaintiffs’ lead lawyer, Johnson became clearly uncomfortable as McRae attempted to show the limitations of her expertise and research as they relate to the very laws she was testifying against. McRae fired off a series of rapid questions calling into question the extent of the professor’s research and knowledge of California school districts. He pointed out that Johnson’s research was primarily limited to a study that only included the one California school system. When asked if she had any specific knowledge of how the California dismissal and tenure statutes benefit students, she replied no. As for the seniority laws, her answer was also no. McRae then underscored the point that the professor hadn’t published anything on teacher layoffs in California. Did Johnson know the average cost associated with the dismissal statute? Again, she said she did not. 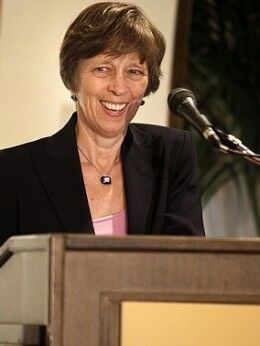 Finberg did his best to buoy Johnson’s credibility on re-direct, pointing out she is currently undertaking a study which includes the Long Beach school district, and that in conjunction with her work at the Public Education Leadership Project at Harvard, she has done informal consulting work with members of both Los Angeles Unified and San Francisco Unified school districts. Before court concluded, Sandi Jacobs, the Vice President and Managing Director for State Policy at the National Council on Teacher Quality took the stand. The Council is a research group that focuses on quality of teachers in classrooms, nationwide. But before she got into details of her work, court adjourned for the day. She resumes her testimony tomorrow.